Snoring and sleep apnea can cause serious health problems since your body does not get uninterrupted rest. A snore guard can be custom made to help with this. 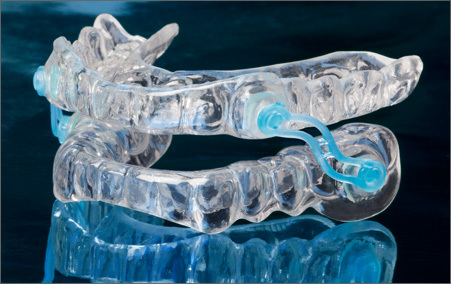 The guard is similar to a night guard and fits over your upper and lower teeth to position your jaw forward. With your jaw forward, your airway is expanded and allows air to flow more freely while you sleep. These guards are comfortable to wear and adjusted perfectly for you.